The beautiful Jomolhari Trek highlights the great diversity that the Bhutanese landscape has to offer. You will pass through thick pine forests, scattered hamlets and alpine meadows that lead to the high pastureland where yak herders graze their animals. Highlights include the fabulous views of snow-capped mountains such as Mt. Jomolhari and Mt. Jichu Drake and camping overnight at the base of Mt Jomolhari. It is a difficult route attaining a maximum altitude of 15,114 ft, and requires trekkers to have very good physical fitness. Before and after your trek, there will also be time to visit the sites of Paro and Thimphu. Season: The ideal time for this trek is Apr-June & Sep- Nov. The Jumolhari Trek highlights the great diversity that the Bhutanese landscape has to offer. You will pass through thick pine forests, scattered hamlets and alpine meadows that lead to the high pastureland where yak herders graze their animals. Experience fabulous views of snow-capped mountains such as Mt. Jumolhari and Mt. Jichu Drake. The flight to Paro is one of the most spectacular mountain flights in the world, with a constantly changing panorama of some of the highest mountains on earth. Our representative will meet you at Paro airport. After lunch enjoy afternoon sightseeing around Paro, including a visit to the National Museum, Ta Dzong. This museum houses many religious relics, works of art and handicrafts offering a great orientation into Bhutan’s historical and cultural past. Next, visit the Rimpong Dzong to see the painting of the great saint Milarepa, considered as the master of meditation by the Bhutanese and believed to have attained enlightenment in a lifetime. Dzong’s are large monasteries and district administrative centres, which were once strategic forts. Afterwards walk to the beautiful cantilever wooden bridge still in use. Overnight at your hotel in Paro. In the afternoon drive to the ruins of the 17th Century Drukgyel Dzong, an historic monument built by the Shabdrung to commemorate his victory against invading Tibetans in 1644. In fine weather the towering peak of the sacred Mount Jomolhari (7314m) appears as a stunning backdrop. On the return drive to Paro, visit 7th Century Kyichu Lhakhang, one of the 108 temples constructed by the Tibetan king Songtsen Gampo. Kyichu is built in a manner similar to the Jokhang in Lhasa. Overnight at your hotel in Paro. The trek starts from Drukgyel Dzong (2580m) with a short downhill walk on a wide track. The trail then climbs gently through well maintained rice terraces and field of millet. Later on we come to apple orchards and forests. Soon the valley widens, and we reach the army post of Gunitsawa (2810m). This is the last stop before Tibet. We continue upwards to just beyond Sharma Zampa (2870m), where there are several good camping places in meadows surrounded by trees. Overnight at campsite. The trail again follows the Pa Chu (Paro river), ascending and descending through pine, oak and spruce forest .After crossing a bridge to the left bank of the river, we stop for lunch. Then continue along the river, climbing upwards through Rhododendron forest, and crossing the river once more before reaching the campsite (3750m). Overnight at campsite. The trail descends gently through a dense forest of Rhododendron, Birch and conifers, then drops steeply to meet the Thimphu Chu. The trail runs along the left bank of the river, climbing over ridges and descending into gullies where side streams run down into the river. The final stage of the trail climbs around a cliff face high above the Thimphu Chu, coming out onto Pastureland where we camp for the night at 3600m. Overnight at campsite. The trail winds in and out of a side valley above the Thimphu chu, making a long ascent through a forest of conifers and high altitude broadleaf species to a pass at 3510m. The trail then drops steeply down to the river, following it southward to the road head at Dodena (2600m). 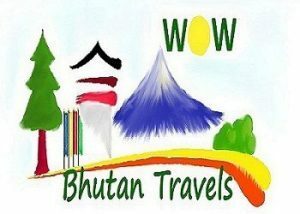 Bhutan Travel Bureau transport meets us here, and we drive to Thimphu. Overnight at hotel in Thimphu. Enjoy sightseeing in Thimphu beginning with a visit to the National Memorial Chorten depicting the Buddhist faith in the form of paintings and statues. This temple was first initiated by the Third King as a protection from the negative elements of modernization. The Royal Queen Mother completed it as a memorial stupa for the third King who passed away in the year 1972. Other highlights include the 12th Century Changangkha Temple, Drubthob monastery housing the Zilukha nunnery, the School for Arts and Crafts where the students are taught to master the 13 types of Bhutanese art, the National Library housing a collection of Bhutanese scriptures dating back to the 8th century, and a fascinating replica of a medieval farmhouse at the Folk Heritage Museum. In the early evening depart for Paro. Overnight at your hotel in Paro.